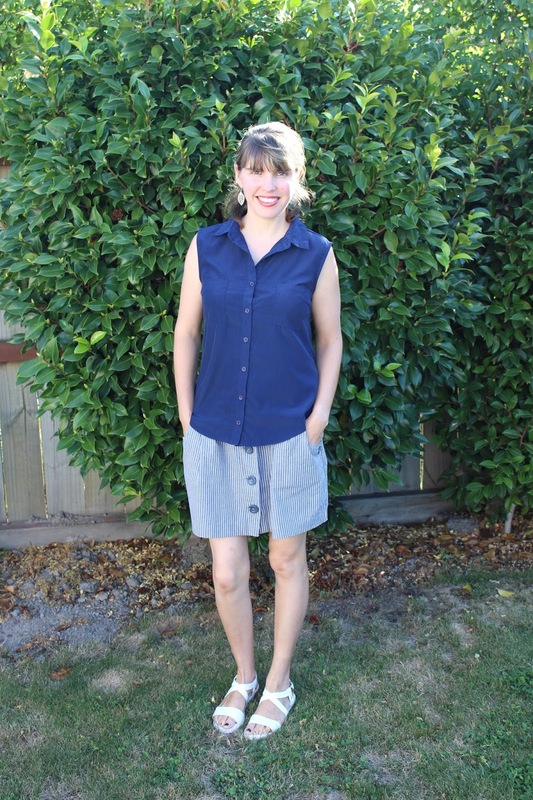 Jo over at iCurvy hosts a fabulous outfit link-up each month, with bloggers putting their spin on a Pinterest inspired outfit. This month I loved the Pin, and set about making it work for me! The striped shorts made me try out this striped skirt that I hadn't been brave enough to wear yet as I thought it was too short. However, by wearing a longer length blouse and pulling it down a bit, I was happy with the length. 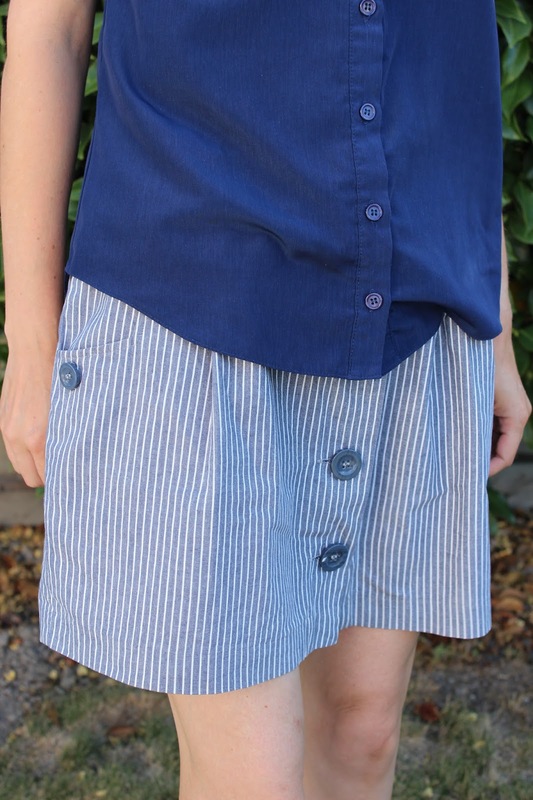 The buttons on the front and sides of the skirt were also a great match for the buttons on the side of the shorts in the inspiration image. I paired this with my white sandals- not as high as the original image but perfect for a day walking around the neighbourhood! I also added some fun leaf earrings and a bright lipstick similar to the one shown above. 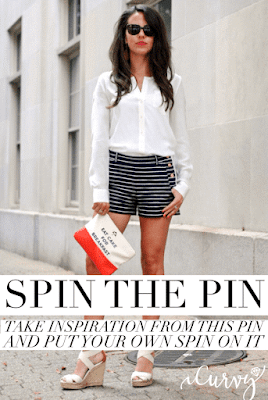 Thanks Jo for this month's Spin the Pin inspiration, and I can't wait to wear this outfit again. 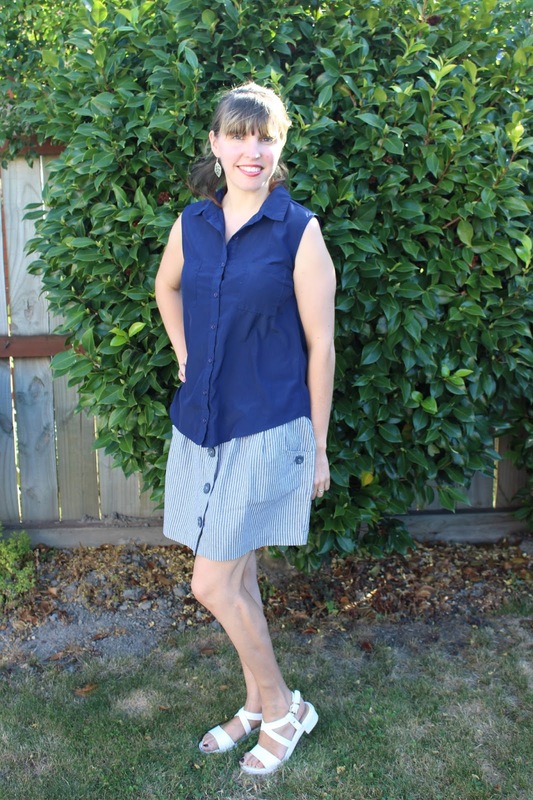 That is such a cute skirt, we are just starting to get into some warmer weather here. Can't wait! Love that striped seersucker Summery skirt Lauren. 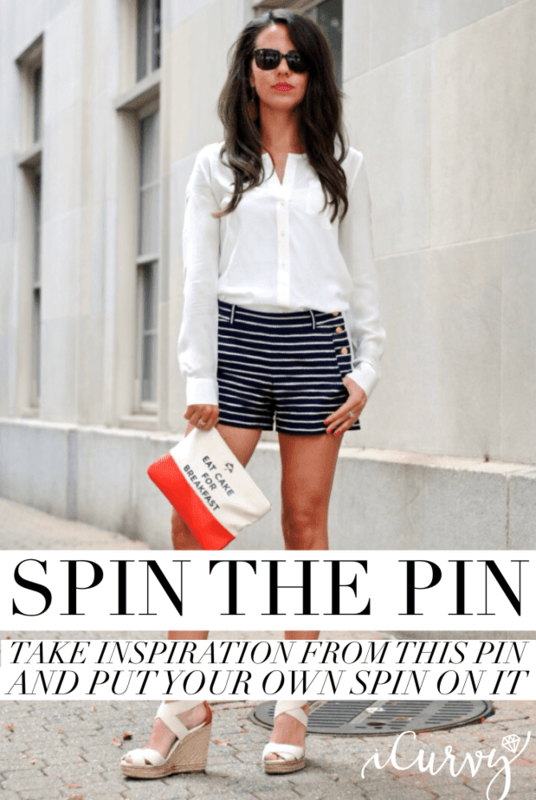 Nautical and preppy paired with navy on top.